The Irish Human Rights and Equality Commission in association with the National Youth Council of Ireland are inviting young people – aged 16-24 – to tell us how the Irish Government could create a more just and equal society that is free from racial discrimination. Ireland committed to end racial discrimination when it ratified the United Nations Convention on the Elimination of all forms of Racial Discrimination in 2000. Later this year, a UN Committee of experts in Geneva will assess Ireland’s latest progress report. They will make recommendations for further action that Ireland needs to take. The Irish Human Rights and Equality Commission has a mandate to provide a separate independent report on how Ireland is doing. We know that racial discrimination affects young people in particular ways. 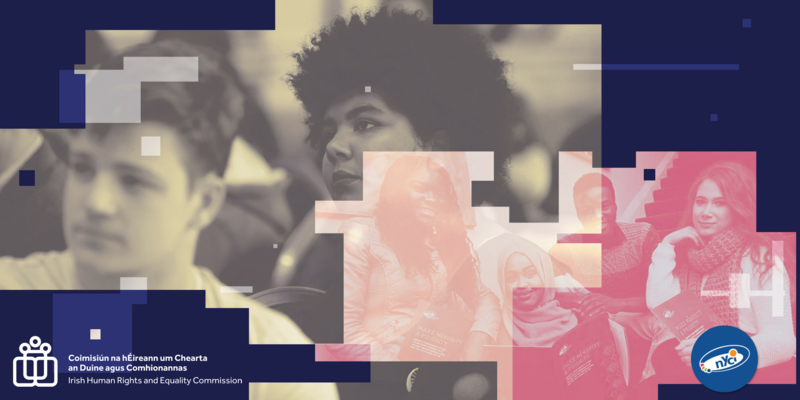 We want to include your perspectives, insights and recommendations in the Commission’s report to the UN Committee on the Elimination of Racial Discrimination. On March 30th we want to hear from you on how we can build greater intercultural understanding in Ireland, drawing on young people’s personal experiences. Venue: The Gresham Hotel, O’Connell Street, Dublin 1. Travel costs for participants will be covered, and lunch will be provided. If you’re aged 16-24 and would like to contribute to this event, please register on Eventbrite here. When registering please feel free to let us know if you have any special requirements, for example, dietary, accessibility, ISL interpretation. This will help us in our preparations for the event.